William Eggleston forever changed the course of photographic history by daring to point his camera at the mundane. Born in Memphis, Tennessee in 1939, this grand master of color and composition is best known for his snapshot-style photography, an approach that has allowed him to consistently capture stillness and spontaneity in a single frame. Unlike most of his “reportage photography” contemporaries, who prioritized black-and-white film, human subjects and the hunt for the “decisive moment”, Eggleston was committed to exploring the Southern states of his native country through the props and places of everyday life. 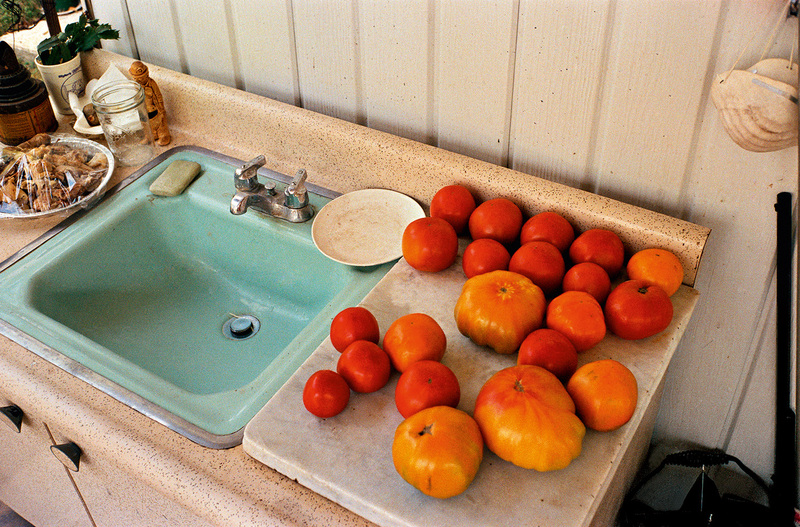 Often perceived as humdrum in the context of a daily routine, the objects taking center-stage in Eggleston’s work are immediately elevated to a higher status through the photographer’s ability to capture vibrant nuances in tone and color (a direct result of Eggleston’s mastery of natural lighting and flash) and strategic framing. Now in his late seventies, Eggleston has put his camera to rest, channeling his energy into producing exhibitions and publications, but his vast body of work continues to have a strong influence on today’s young photographers. Born in London, England in 1990, Lorena Lohr has embraced the “ode to the mundane” omnipresent in Eggleston’s photography and adopted it as a core pillar of her artistic voice. In her series Ocean Sands, the British photographer documents her discovery of the American South via Greyhound bus, conducting a visual survey of the places and surfaces encountered throughout her travels. 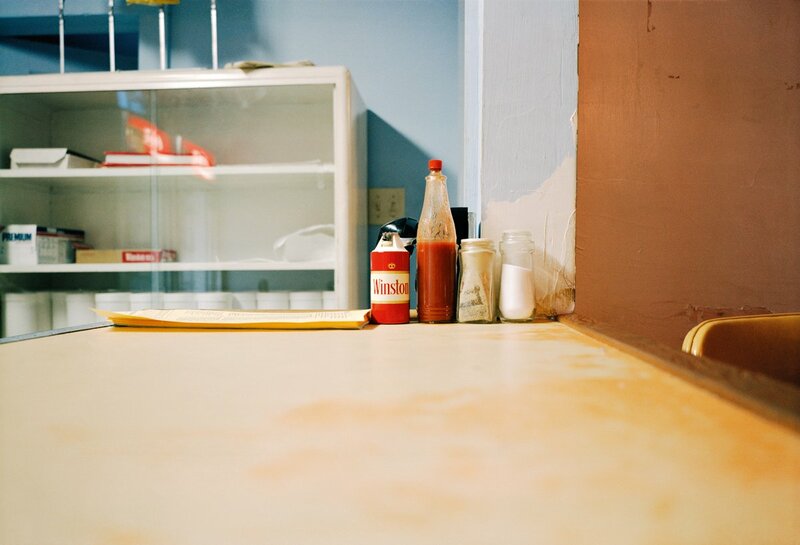 There is an uncanny resemblance between Lohr’s Ocean Sands and Eggleston’s monumental series, The Democratic Forest. Both photographers seem to take an interest in the same inert subjects spotted throughout their Southern adventures, such as half-used condiments on pastel tabletops, crimson car interiors and trees towering over electric lines. While Eggleston looks at the American South from the point-of-view of a long-time local and Lohr from that of a transient visitor, when comparing both bodies of work an implicit dialogue emerges from the common pattern in their choice of inanimate muses. Beyond a visual echo, both series achieve to portray an atmosphere of rural solitude and emptiness with a lightness that makes you feel like your peeping into each photographer’s memories of a fading America, an America whose dusty roots continue to possess the imagination of visual storytellers from all walks of life. A selection of works from Eggleston’s series The Democratic Forest is currently on view in New York at David Zwirner until December 17, 2016. A curation of prints from Lohr’s Ocean Sands can be viewed and purchased right here on Collectionair.